Design or design qualification is characterized by the definition of types, dimensions of packaging materials and cooling elements and auxiliary materials, based on thermal tests to determine a pre-configuration, ensuring that the transport requirements are attainable and real. 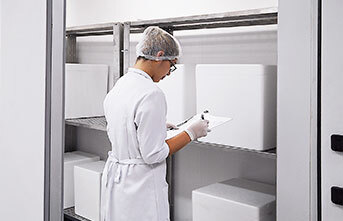 The operating qualification is characterized by actions that establish, under controlled conditions (by a climatic chamber in the laboratory), that a package operates as intended, within the pre-established thermal mass parameters, thermal box cubicle, auxiliary materials, time and temperature. Performance qualification is documented evidence that a thermal packaging has been designed in accordance with the acceptance criteria and in accordance with the requirements of Good Transportation Practices. It is characterized by the sending of thermal packs through critical routes, considered to be the worst case for sending products sensitive to temperature (winter and summer), according to the transportation characteristics of the establishment to demonstrate that the packaging is effective, robust and reproducible.